As one of the best-selling authors in history, James Patterson has little left to prove. Say what you will about his chops as a writer, the fact is that his books — and he's written or cowritten more than 130 of them — are enjoyed by millions of people. Most artists can't make such a claim. And though Patterson is Amazon.com's No. 2 author in terms of sales, he is concerned about the little guys: old-fashioned books, young readers who hold them and small bookstores that sell them. With online booksellers, e-books and the consolidation of publishing houses, the fate of the bound book seems perilous, as does that of the small, independent bookstores that carry them. In an ad on the cover of the April 22, 2013, Publishers Weekly, Patterson asks: "Who will save our books? Our bookstores? Our libraries?" As a big fish in the publishing pond, Patterson caused ripples last year when he announced that he would be giving away $1 million. That large sum will be distributed through many small grants to a select group of the country's independent bookstores, the first round of which was distributed in February. Patterson specifically invited applications from independently owned bookstores that have children's departments. Two Vermont bookstores were among the recipients of Patterson's generosity: Phoenix Books (which has branches in Burlington and Essex) and Norwich Bookstore each received a no-strings-attached $5,000 grant from Patterson. 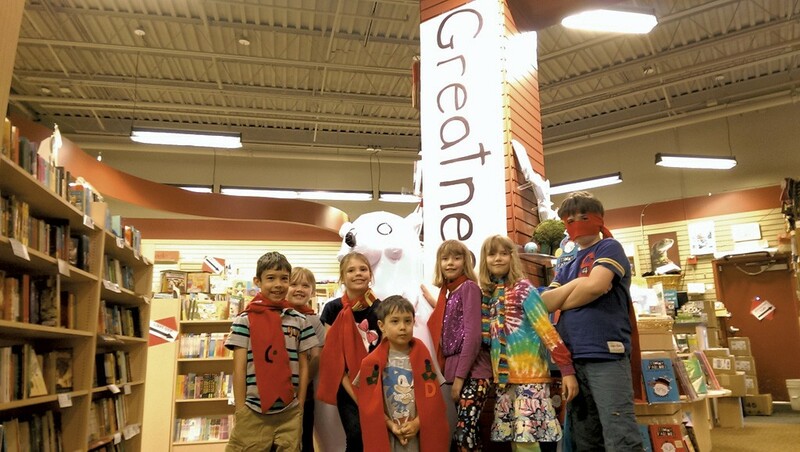 The owners of both stores have decided to use that money to fund programs for young readers. Norwich Bookstore has already used some of the grant money to implement several reading programs for kids, and will add more in the near future. In December, the store launched its Second Saturday program, in which regional authors present their work to the book-loving public. That first event featured Jon Chad, cartoonist and faculty member at White River Junction's Center for Cartoon Studies; subsequent events have welcomed children's book authors Mary Lyn Ray and Tracey Campbell Pearson. In the fall, says the store's co-owner, Liza Bernard, Norwich Bookstore will use more of the grant money to start up reading groups for preteens and teenagers. "When the kids come in, our goal is to get them excited about reading," Bernard says. "It's nice not to worry about selling X number of books to pay for the staff and the promotion." "Running a small business is challenging," says Phoenix Books co-owner Renée Reiner. "Running a bookstore is more challenging." Reiner is effusive in her praise for Patterson and his no-strings approach to supporting the nation's independent booksellers. Phoenix Books' kid-centric approach to using Patterson's grant money is about as direct as can be: The store will buy books and give them to young readers. Phoenix has teamed up with Burlington's Fletcher Free Library to piggyback on the library's existing summer reading program, in which about 1,400 kids participate annually. Phoenix's children's book buyer, Beth Wagner, will work with the library to create age-specific lists of about a dozen books each; upon completion of the summer reading program, each young participant will be given a book of his or her choice from one of those lists. The $5,000 will provide seed money for the initiative and buy most of the books, with Phoenix supplementing that sum. Reiner intends to make this program a permanent one, she says, and to expand it to include the reading programs of other Chittenden County libraries. A bookmobile would be great, Reiner says, as would investing in the store's infrastructure, but for now Phoenix is sticking with the library collaboration. "What [bookstore co-owner] Mike [DeSanto] and I care about is folks reading," says Reiner. "This seems like the best way to honor Jim Patterson's intention of getting more books to more kids." The original print version of this article was headlined "Two Vermont Bookstores Use Patterson Grants for Young Readers"